The two companies unveiled a new co-branded card for small businesses on Tuesday. Cardholders with an Amazon Prime membership will be able to choose between an interest-free loan for 90 days or 5% back on purchases made at Amazon.com, Amazon Business, Amazon Web Services and Whole Foods Market, the companies said in a statement. The no-fee metal card will also offer 2% back on purchases at US restaurants and gas stations and on mobile-phone services. 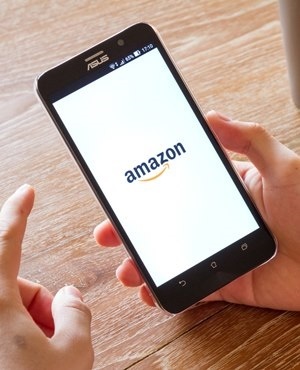 "It allows you to meet the need when you want cash flow, it allows you to get a savings boost from rewards when you want it," Samant Nagpal, global head of Amazon Business payment products, said in an interview. AmEx, meanwhile, has been experimenting with allowing cardholders to pay off or finance individual purchases in a new feature called "Pay It, Plan It" to encourage existing customers to borrow more. The company - which says it’s the top card issuer for US small businesses, and that its portfolio is larger than those of its five closest competitors combined - also has been focused on improving its services for small-business borrowers. "Working capital is a very important consideration, and one that keeps business owners up at night," said Courtney Kelso, head of US commercial card solutions at AmEx. "This puts the control and choice into their hands on a transaction-by-transaction basis."